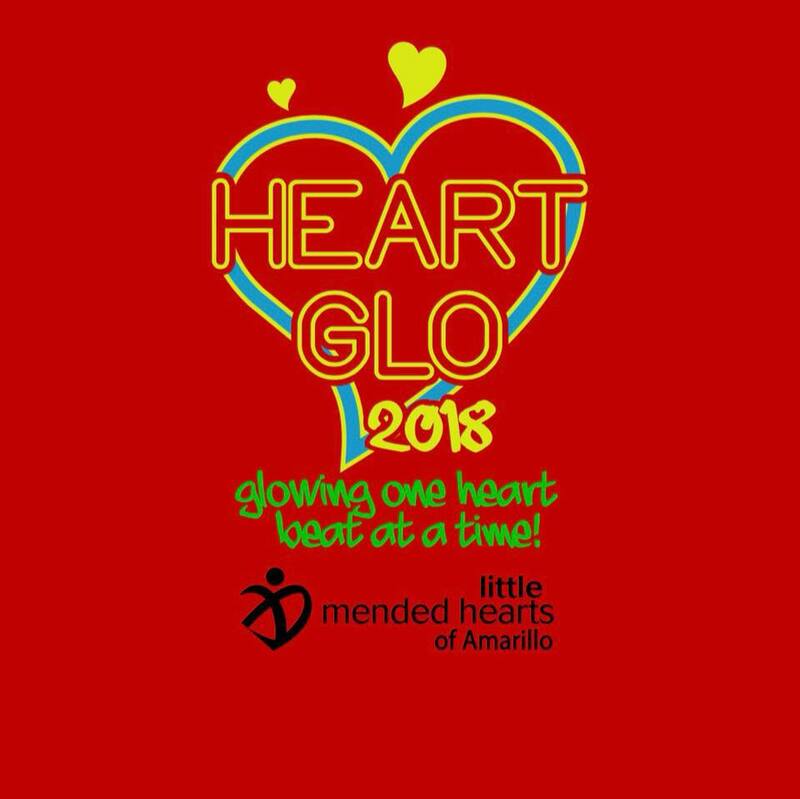 We are all ready and set for the 2018 Heart Glo, benefitting Mended Little Hearts of Amarillo! 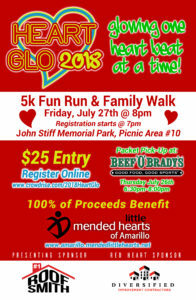 Go over to our website and get registered for this fun event taking place on Friday night, July 27th at John Stiff Park. Registration starts at 7:00 and our activities start at 8:00! 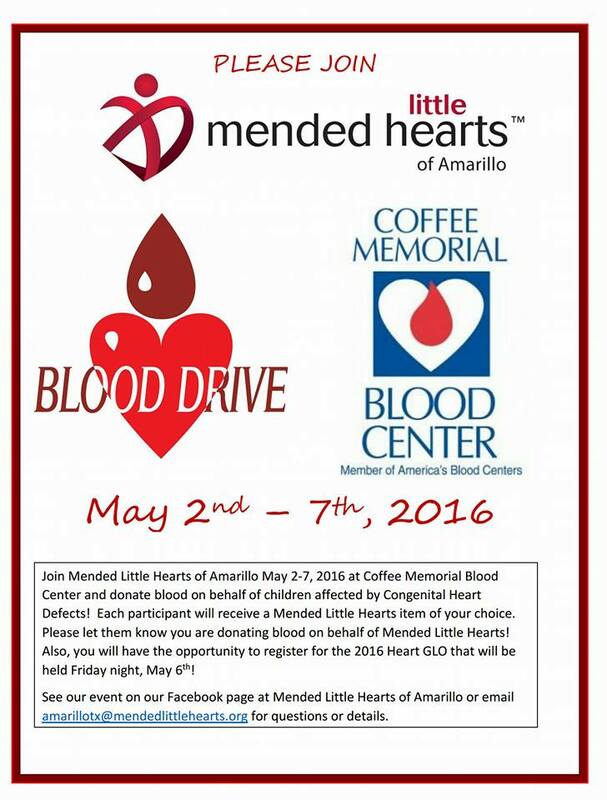 We are so proud to announce our partnership with Coffee Memorial Blood Center!! 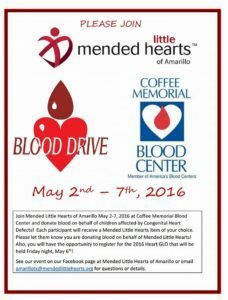 We will be hosting a Blood Drive coming up the week prior to the Heart GLO!!! It begins May 2nd through Sat May 7th!! Blood donation is so very important to each of our children, as they ALL have had blood products ranging from priming bi-pass machines, to having blood products during open-heart surgeries, transplants, and other medical procedures, to dozens of transfusions due to post-op complications. Blood donation is 100% necessary and required in order for these children’s survival! So whether your donation goes to a pediatric heart patient or not, we donate in honor of our warriors and to help keep our local blood center running! 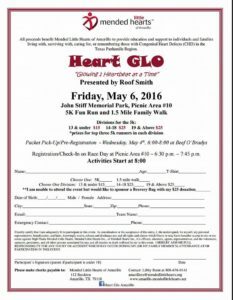 We are well on our way getting teams registered for the 2016 Heart GLO!!! We are just a couple of weeks away and would like to get as many people and teams pre-registered as possible online!! 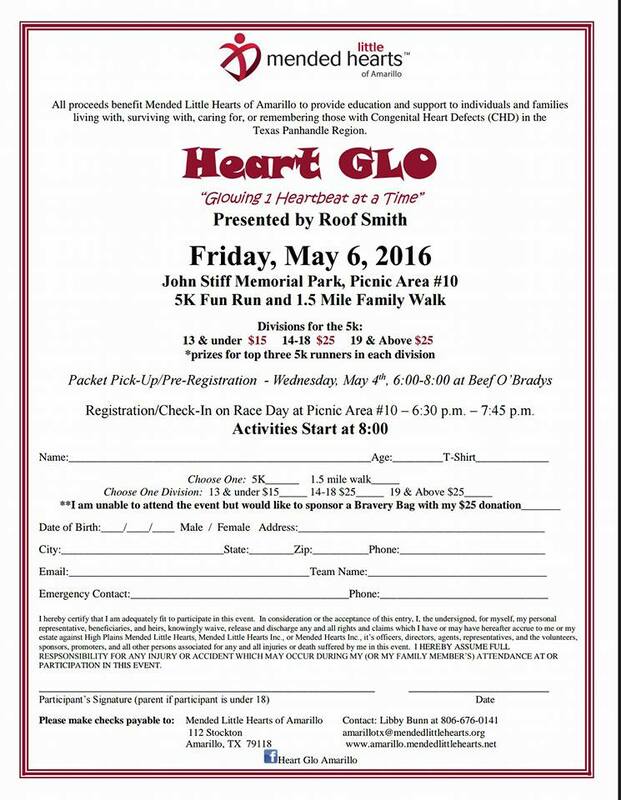 Go to https://www.crowdrise.com/2016HeartGLO to get yourself registered, either on an existing team, or create one of your own!! Or print off and mail in the attached form below! We look forward to seeing everyone out on May 6th! 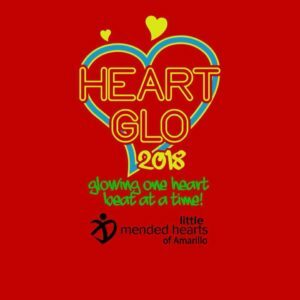 Heart GLO registration is OPEN!!! Start forming your Heart GLO teams NOW!!! Or simply print off the following form and mail in your payment and registration. 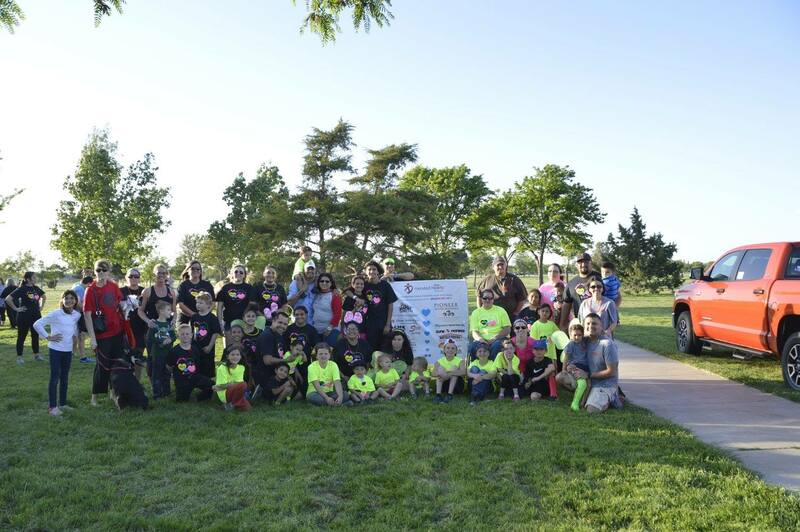 We look forward to seeing everyone on May 6th! 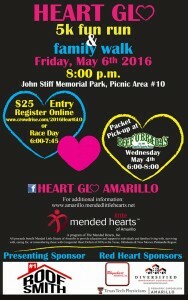 And stay up to date on our facebook page at Heart GLO Amarillo! Wow!!! 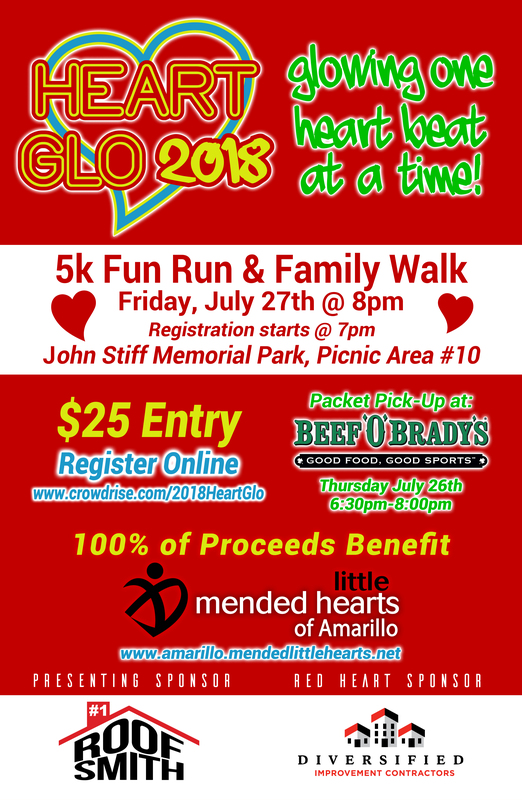 We have had just an incredible response to many local businesses with several jumping on board and partnering with Mended Little Hearts of Amarillo and supporting the Amarillo Heart GLO! We have extended the deadline until March 15th for any other sponsors that want to get in last minute! 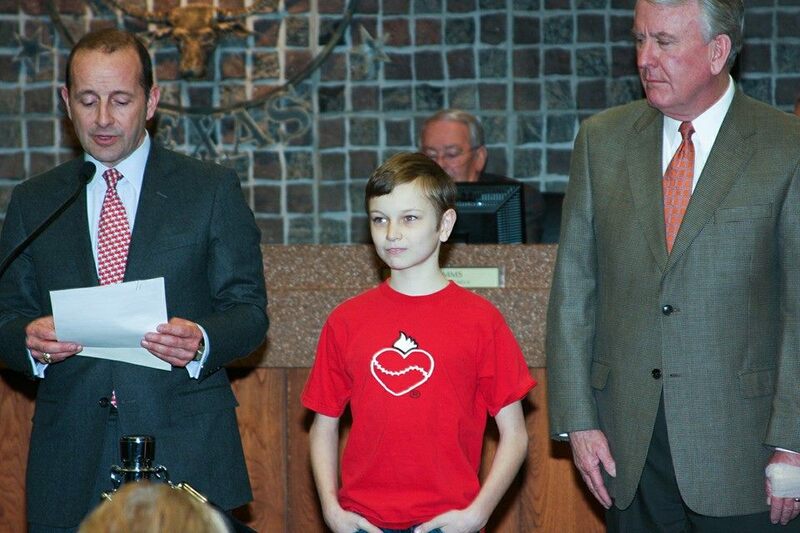 We are so excited to announce that we received a call from the Amarillo Mayor’s office that they will be proclaiming CHD Awareness Week, Feb 7-14, 2016 in the City of Amarillo, Texas! Please join us on Tuesday, February 9th at the Amarillo City Hall, as Mayor Harpole and the Amarillo City Commissioners read the CHD Awareness Week Proclamation! This is a great opportunity for our group to get exposure in the community and helps us spread CHD Awareness in our area!! The meeting starts PROMPLTY at 5:00 so we need to be seated in the City Council Chamber and ready to go no later than 4:55. Please meet in the downstairs foyer no later than 4:45. Navigating the internet and the world of Congenital Heart Defects can oftentimes be overwhelming. Mended Little Hearts has a wealth of online resources for your convenience all in one place! 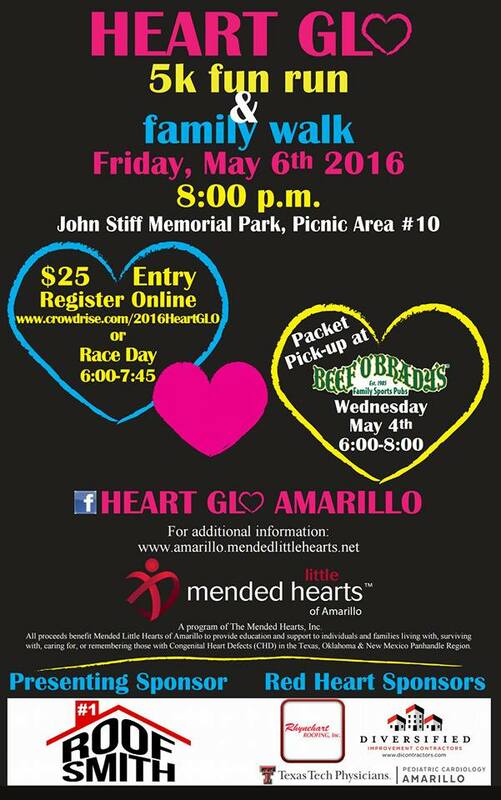 With the advance of social media, there are multiple ways to get in contact with Mended Little Hearts of Amarillo for your convenience. We have many trained leaders in position to speak with you in person, over the phone or by email or social media. Our leaders have likely walked in very similar shoes that you have and can oftentimes provide hope in a seemingly hopeless situation. We look forward to hearing from you soon!